Love creamy salad dressing? Are you trying to lose weight? If so I recommend low fat and only recommend good fats from whole foods. 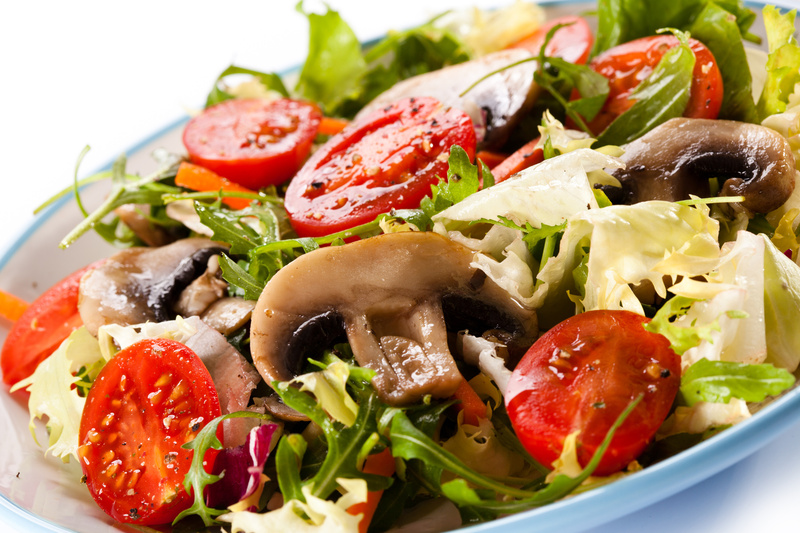 Here is a way to make a delicious rich creamy salad dressing with no fat. If you want quality fats, add some organic avocado or organic olives into your salad! I created this recipe because I had some excellent organic white mushrooms and organic baby carrots that were begging for an Italian salad dressing but I didn’t want oil. If you want to indulge, I have an excellent Creamy Italian Salad Dressing recipe that boasts a top quality olive oil, but normally I avoid oils. This new recipe was perfect. My salad had the mushrooms, carrots, chopped romaine hearts, Persian cucumbers, and organic green olives, but you can add tomatoes or any other great salad veggie too. This recipe is truly a fun international fusion. We have Celtic Salt, Italian Vinegar and basil, Mediterranean dates (and I used Persian cucumbers), Miso which is more Asian, and good old American apple cider vinegar. Spin in High Speed Blender and dress your salad. Enough for ONE large salad. For more than that, double or triple the recipe. looks good 🙂 I am going to try it. thanks! Thank you its my new favorite! Please let me know what you think..enjoy!